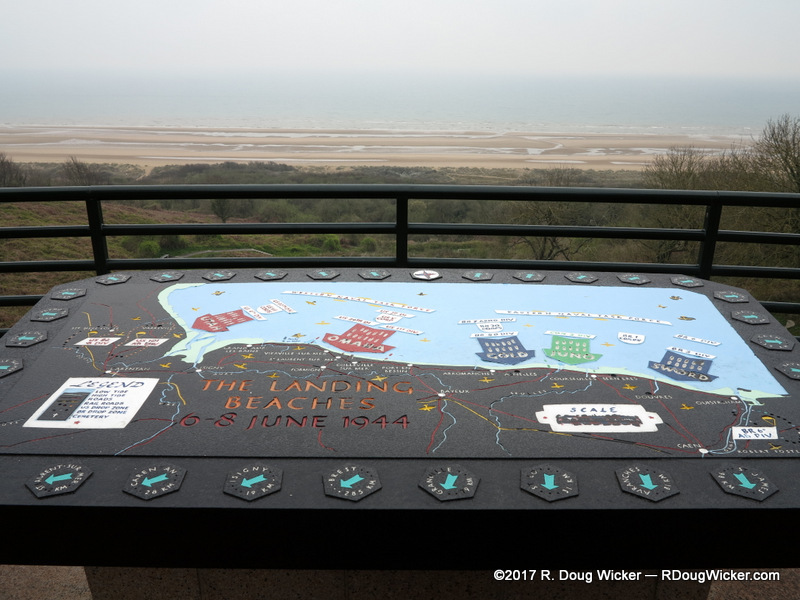 The map depicted above overlooks Omaha Beach. 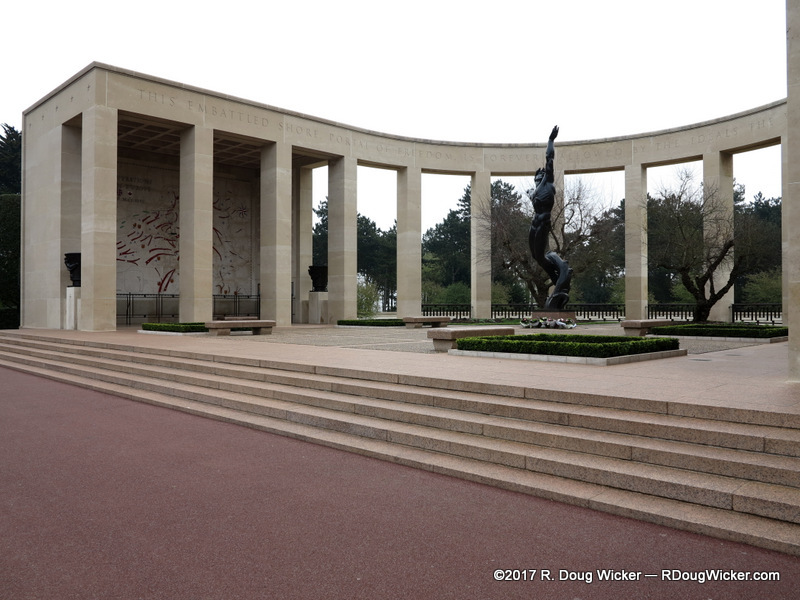 Behind that map lies the Normandy American Cemetery and Memorial. a territorial concession granted by France to the United States, so this ground is fully administered and maintained by the U.S. government. 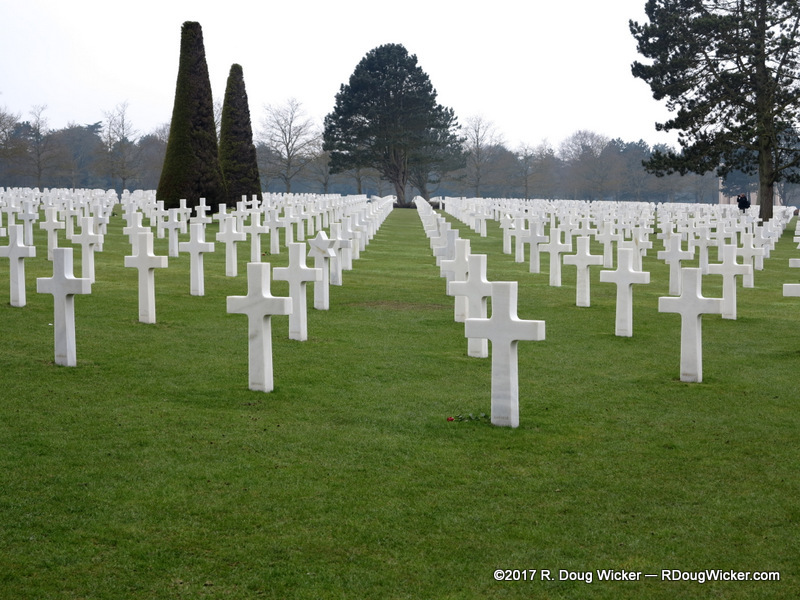 There are 9,387 graves here, of which 307 contain the remains of unknown persons. 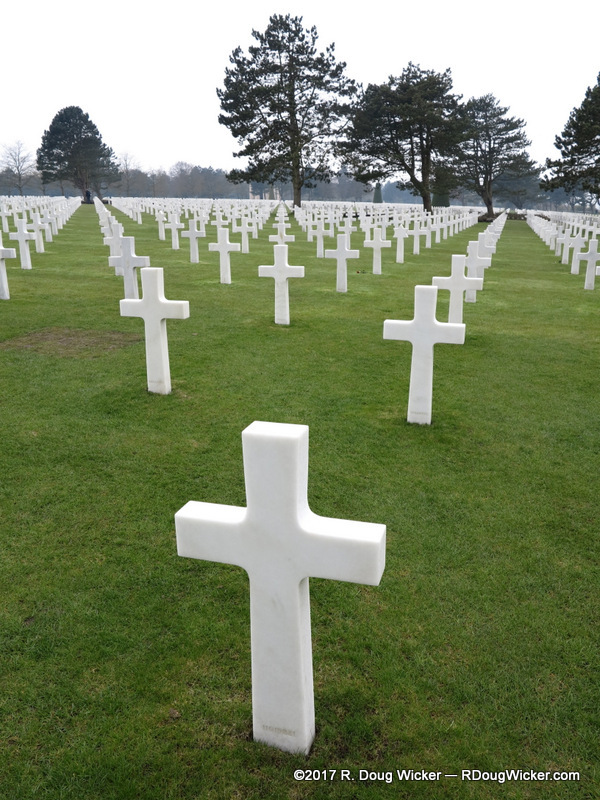 All but one of those interred lost their lives during WWII. The exception is a grave from a lone casualty from WWI. Quentin Roosevelt, who was reinterred next to his brother Theodore Roosevelt, Jr. The memorial and reflection pond face east toward the closest point of the United States, between Lubec and Eastport in Maine. 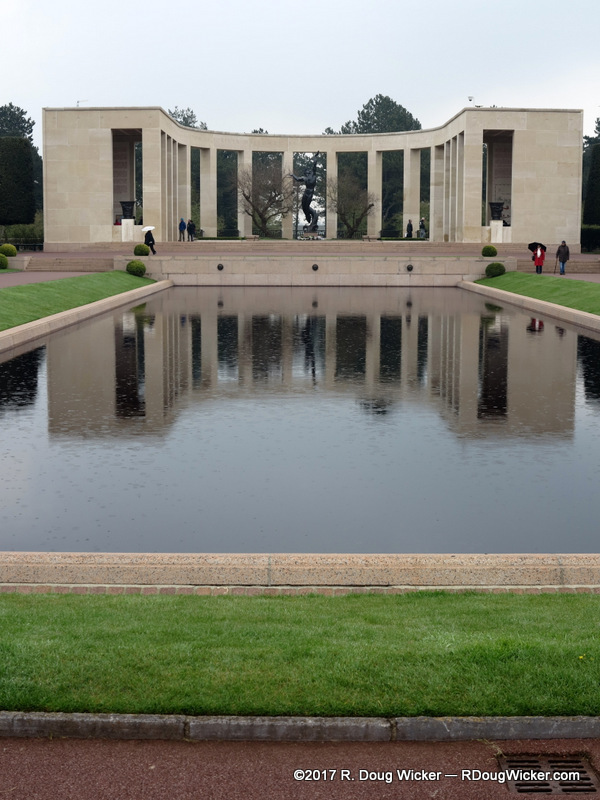 The Memorial faces east toward the U.S.